My eldest boys have the energy of toddlers, and the clumsiness that comes with it. I have found that having a newborn around means setting boundaries to keep Finn safe and allow him time to stretch out as well. We were sent a play mat from Gigi Brooks and it has been Finn's safe space to practice his skills. At the moment of course his skills are pretty limited, but it allows him a different vantage point. He isn't trying to roll yet and he hasn't mastered looking around when on his tummy, but we know that the more time he spends on the ground, the faster he will pick things up. For now, he likes lying on his tummy and relaxing, and brief spells on his back looking around and kicking his legs. 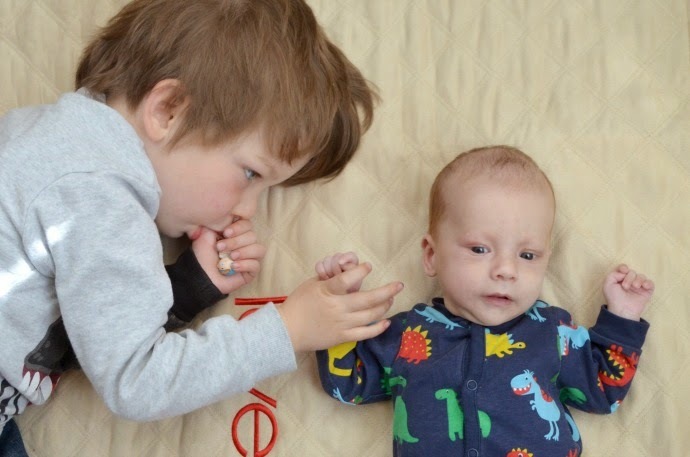 We have found that Finn still feels a little intimidated by noisier playmats, and prefers something more simple but still soft where he can take things in at his own pace, and this mat is perfect from newborn. As he grows I know we will use it for safe play and later as a picnic mat outside on a dry day. Dylan and Archie adore joining in with his floor time and they chat away to him and show him toys. They know that the playmat is a baby zone though and it isn't for brumming cars on or noisy toys. This playmat is luxuriously thick, with a good amount of padding and the softest suede. The word 'loved' is embroidered on this one, but Gigi Brooks sell a variety of colours, each with a different word. The mat is 142cm x 92cm and machine washable. 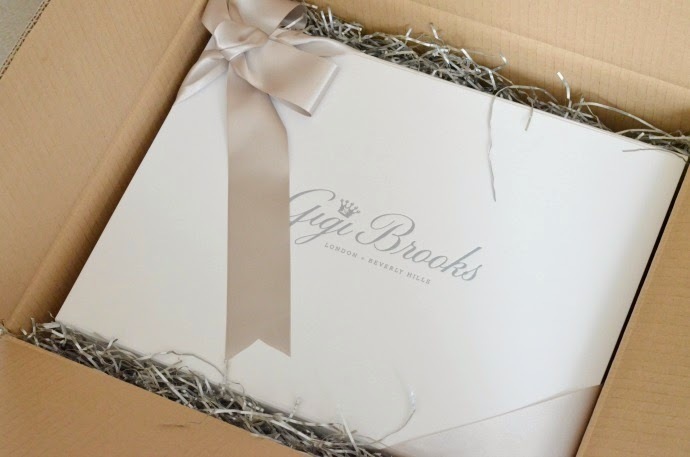 It arrived beautifully packaged and is easy to fold and store. It retails at £195 which definitely puts it as a top of the range product but if you are looking for something simple, quality and versatile then this playmat offers luxury. 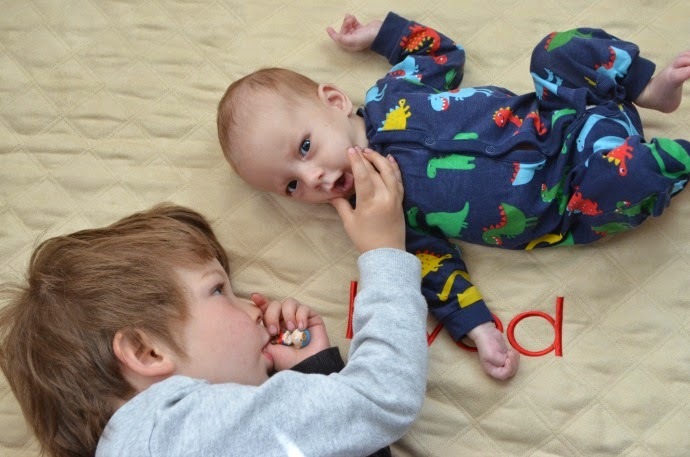 This playmat has become part of our daily life, and Dylan asks if Finn can have 'tummy time' so that he can lie down on the mat with him, although the pair of them always look like they are more likely to fall asleep than actually play!